Known for its calming properties that help to soothe emotions and bring calm in the midst of fresh grief. Can promote relaxation before sleep when diffused or applied topically diluted in a carrier oil. Useful in skin rejuvenation by counteracting the visible signs of aging, reducing the appearance of wrinkles and helping smooth skin. Can help with the “power surges” suffered by many women going through the normal change of life. Yes! 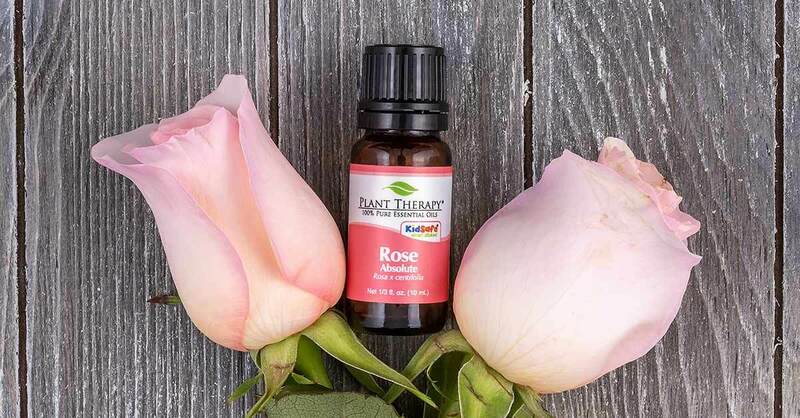 Rose Absolute essential oil IS KidSafe. Dilute in your favorite carrier oil at a 1% dilution on the skin of the face and neck. Add a few drops to your diffuser to create a soothing and calming atmosphere. Bergamot, Chamomile, Clove Bud, Geranium Egyptian, Helichrysum Italicum, Jasmine Absolute, Lemon, Neroli, Palmarosa, Patchouli, Petitgrain, Sandalwood Australian, Vetiver, and Ylang Ylang Complete. 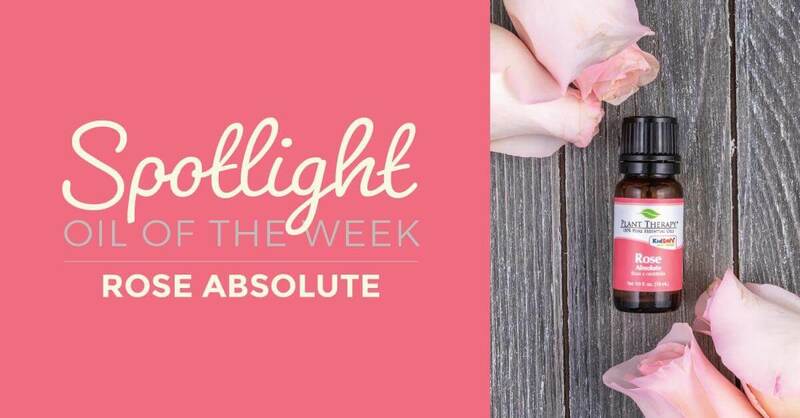 Try Rose Absolute essential oil today! And to check out all our other essential oil spotlight blog posts, check out our Spotlight Page! I purchased Rose Absolute during the last Christmas sale and I can say that this is the best uplifting oil ever. Smells wonderful, like a Mediterranean rose garden in my home. While I love the smell of fresh roses and contemplated getting this oil. I have a list of oils that I need first. Maybe I will splurge later once I have enough of the therapeutic oils. Instead I purchased Anti-Age Synergy for now. I’ve had this oil on my wish list for quite a while, and when I saw this was the Spotlight Oil I simply couldn’t resist! I can’t wait to add this to my skin care rotation. I am so happy I took the plunge as even though I haven’t received my Rose Absolute yet, I am very much looking forward to it. I had a rose macaron yesterday and the sweet scent of rose made me feel very happy and calm. May I know why the Rose Absolute is kid safe when it might have traces (hopefully not if you have a good distiller) of hexane but the Rose Otto is not kid safe? Claire, Rose Absolute and Rose Otto are distilled from different species of the Rose flower. It is possible that the Rose Otto contains a chemical constituent that is not present in Rose Absolute, and is not KidSafe. I would like to direct you to please contact [email protected] and I’m sure they will be able to give you more information! Thank you! I’m keen to give this a go! Love this scent. Rose absolute is my absolute favorite! I couldn’t love this oil more. It’s bliss in a bottle. must have 1 while the offer time…. Oooo this looks amazing!! Adding to my cart now! I am SOOOO excited about this oil being Spot Light Oil of the Month! I use this on my face and I can always tell a HUGE difference. Not to mention, it smells absolutely wonderful! Love this oil!!! Thanks for putting it as oil-of-the-month so we could learn more about it and get the added bonus of a discount. Yay!! I’ve been wanting it and putting it off. I just purchased and received another wish list item for $5. The Love Vanilla Synergy!! I’ve really been wanting to try this one. I’ve been researching for good oils to make something for wrinkles. I love roses. Oh man! A dream oil for sure! Oh man! I love rose and have been wanting to get the oil forever. Now maybe I can. Roses are one of my favorite scents. I pair mine with Jasmine Oil or Blood Orange in my diffuser. It’s sooo good. My daughter loves the Rose Absolute with Clary Sage and Bergamont. It is a mix that she uses to help balance her hormones. It is only a 1.5 % dilution so it is safe! I put two drops each into 20 mls of oil. Everytime she smells it, she smiles. Yay! So excited about this oil being on spotlight this week. Many don’t understand how much actually goes into making rose absolute! The price is very reasonable compared to other companies! Can’t wait to get mine! This oil sounds divine. I would really like to order but wow, the price, yikes!